Description: Close up shot of a generic gambling sign with blinking lights in Las Vegas Nevada. 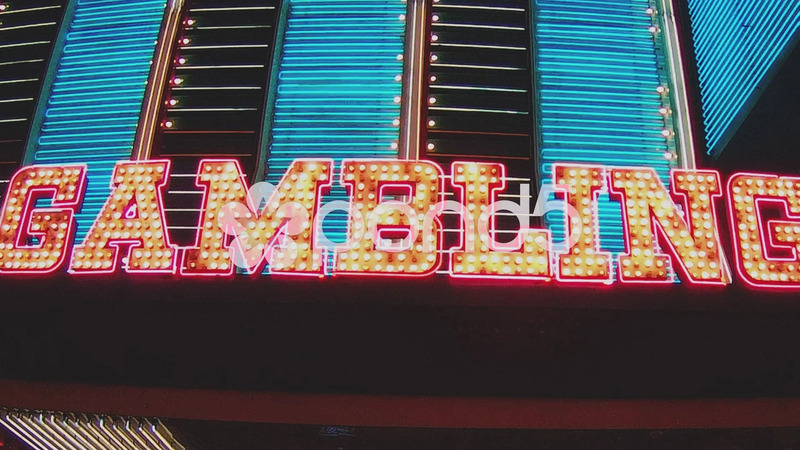 Red neon letters spell out the word "GAMBLING" against a blue neon background of lights. Part of a series of clips by ChromaVid featuring signs and symbols stock video.